Qualcomm and Ericsson successfully completed a 3GPP Rel-15 spec compliant 5G NR call on a smartphone form factor mobile test device. The over-the-air (OTA) call was performed using millimeter wave (mmWave) in the 39 GHz band of spectrum using NSA (Non-Standalone) mode. It utilized Ericsson's commercial 5G NR radio AIR 5331 and baseband products and a mobile test device with integrated Qualcomm Snapdragon X50 5G modem and RF subsystem in the Ericsson Lab in Kista, Sweden. Verizon is preparing to launch a fixed 5G service in four U.S. markets to deliver broadband and video service. The company has not announced a launch date for a mobile 5G solution. Anritsu has released new firmware downloads for the BERTWave MP2110A Sampling Oscilloscope that boosts its PAM4 analysis function from 26 Gbaud to 53 Gbaud for the production and inspection of optical modules. Anritsu notes that current optical modules such as CFP8s use 26-Gbaud PAM4 optical signals, while future mass-produced QSFP-DD and OSFP modules will use 53-Gbaud PAM4 optical signals. Its solution can be used to support the development and production-line inspection of next-generation QSFP-DD optical transceivers expected to be deployed in data centers. The BERTWave MP2110A is an all-in-one measuring instrument with built-in multi-channel Bit Error Rate Tester (BERT) and Sampling Oscilloscope, supporting bit error rate (BER) measurements, Eye Mask tests, Eye pattern analyses, high sampling speed of 250 kSample/s and low-noise (3.4 μW) high-sensitivity O/E interface. The BERT and Sampling Oscilloscope are required instruments for evaluating optical modules used by optical communications systems. As well as NRZ technology, the MP2110A also supports PAM4 signal measurements including TDECQ, which enable all-in-one quality evaluations of optical modules at speeds from 25 to 400 G. In addition, the MP2110A, thanks to its high-speed measurement and PAM4 analysis, will play a key role in improving optical module production-line productivity. Moreover, adding 53 Gbaud support for quality evaluation of next-generation optical modules helps cut capital equipment renewal costs. CASSCOMM. which serves nine counties in central Illinois, is deploying ADTRAN's next-generation EPON OLTs for full 1G EPON and 10G EPON fiber service delivery, and GPON and Active Ethernet fiber technologies to enhance ultra-fast and gigabit broadband service availability across its network. CASSCOMM is initially targeting a 550-home residential network build with its new fiber services, to be followed by a three-city turn-up over the next 12 months—culminating with an upgrade to the remaining 29 communities that CASSCOMM serves. “Innovation is happening at all points of the network and ADTRAN is committed to delivering the products, technology and support needed to ensure our customers have the networks they need to reach every customer over any infrastructure,” ADTRAN Vice President of Cable and Wireless Strategy Hossam Salib said. GlobeNet and Facebook kicked off construction of anew submarine cable system linking Brazil and Argentina. GlobeNet and Facebook will co-own the system and it will be operated by GlobeNet. The "Malbec" cable, which is named after the renowned Argentinian wine, will span 2,500 km linking Rio de Janeiro and Sao Paulo to Buenos Aires, with a branching unit to reach Porto Alegre, Brazil. 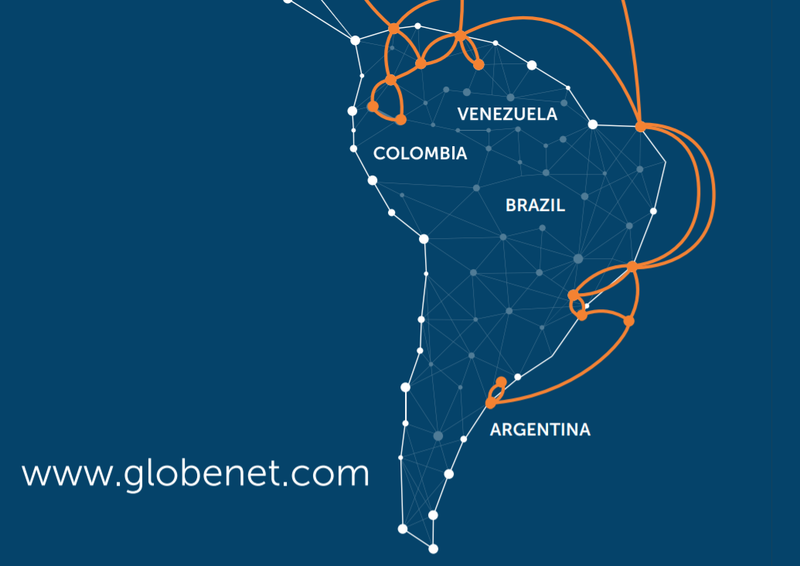 The system will connect Argentina to GlobeNet's network in Brazil, which offers onward service to the United States. The Malbec cable system will feature six fiber pairs, delivering double the current international capacity to Argentina. 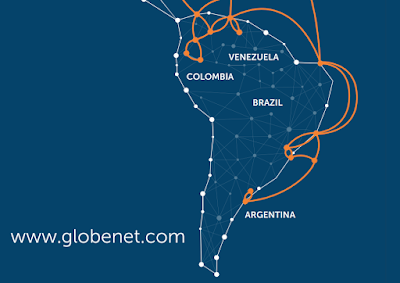 Globenet said Malbed will be the first new submarine cable route to reach the Argentinian coast since 2001. "We are excited and proud to work with Facebook," says Eduardo Falzoni, CEO of GlobeNet. "Argentina deserves state-of-the-art infrastructure to satisfy the pressing demands of the years ahead. This project is a testament to our capabilities, expertise and commitment to the region where we have been operating for 15 years." The ready-for-service date will be in the first half of 2020. The worldwide Ethernet switch market (Layer 2/3) recorded $6.7 billion in revenue in 2Q18, an increase of 4.8% year over year, according to IDC Quarterly Ethernet Switch Tracker and IDC Quarterly Router Tracker. "Dynamics in the Ethernet switching market continue to shift as enterprise and service providers are demanding higher-speed Ethernet switch products," said Rohit Mehra, vice president, Network Infrastructure at IDC. "While different regions are at varying stages of maturity, the market is clearly looking to capitalize on new equipment, which is helping to drive vendor revenue growth." The worldwide total enterprise and service provider (SP) router market recorded $3.8 billion in revenue in 2Q18, decreasing 2.5% on a year-over-year basis. 100Gb shipments reached more than 2.8 million ports and $893.5 million in revenue in 2Q18. 100Gb now accounts for 13.2% of total market revenue, compared to 8.1% during the same quarter in 2017. 25GbE switch products continue to gain traction with shipments exceeding 2.0 million ports and $197 million in revenue in 2Q18. Port shipments of 40GbE, meanwhile, grew 2.1% year over year, but price erosion for these products led 40 GbE revenues to fall 13.5% compared to last year. The 2Q18 Ethernet switch market recorded its strongest growth in the Asia/Pacific (excluding Japan) region (APeJ), which increased 16.6% year over year in 2Q18. The China market, which makes up the largest share of the region's total, drove the growth with a 26.4% revenue increase between 2Q17 and 2Q18. The Western Europe region grew 4.3% from 2Q17 with Germany – the region's largest market – increasing 13.2% year over year. Japan grew 3.8%. The United States, the largest regional market in the world, was down 1.6% year over year. The worldwide enterprise and service provider router market fell 2.5% on a year-over-year basis in 2Q18 with the service provider segment, which accounts for 76.9% of the market, declining 3.9% and the enterprise portion growing 2.5% year over year. The service provider segment was negatively impacted by weak CAPEX spending by major communications service providers, especially in the United States. 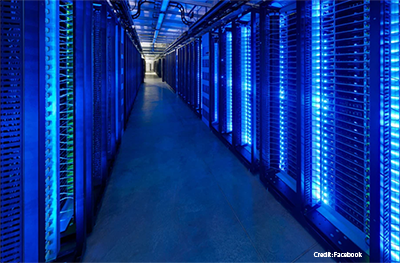 Facebook announced plans to build a hyperscale data center in Singapore. The 170,000 square meter facility, which will be Facebook's first wholly-owned data center in Asia-Pac, is expected to come online in 2022 at the latest. Facebook estimated the cost of the project at US$ 1 billion. Last month, Facebook set 2020 as its target to reduce greenhouse gas emissions by 75% and to power 100% of global operations with renewable energy. Three years ago, the company set a goal of powering 50% of its operations with renewable power by 2018. It reached this goal by the end of 2017. To date, Facebook has signed contracts for over 3 gigawatts of new solar and wind energy. Most of the contracts have been signed over the past 12 months for new solar and wind projects that will deliver energy to its hyperscale data operations. Facebook has chosen Huntsville, Alabama for its next hyperscale data center location. Facebook estimates it will invest $750 million in the 970,000 square foot facility. As with its other data centers, Facebook committed to 100% renewable energy and is looking at new solar projects in the area. The company says it is working with the Tennessee Valley Authority to establish a renewable energy tariff that will let other qualifying customers buy new renewable resources as well. The Huntsville Data Center could be operational in 2020. Facebook will build one of its hyperscale data centers in Eagle Mountain, Utah. The 970,000 square foot Eagle Mountain Data Center will be powered by 100% renewable energy. Facebook said the Eagle Moutain project represents an investment of more than $750 million. 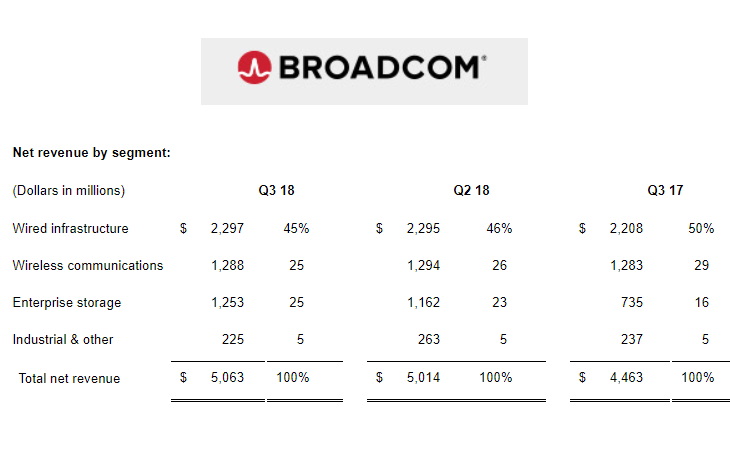 Broadcom posted net revenue of $5.063 billion for its third quarter of fiscal year 2018, ended August 5, 2018,, an increase of 1 percent from $5.014 billion in the previous quarter and an increase of 13 percent from $4,463 million in the same quarter last year. Gross margin was $2,619 million, or 51.7 percent of net revenue. Net income, which includes the impact of discontinued operations, was $1,196 million, or $2.71 per diluted share. This compares with net income of $3,733 million, or $8.33 per diluted share, in the prior quarter, and net income of $507 million, or $1.14 per diluted share, in the same quarter last year. GAAP net income, which includes the impact of discontinued operations, was $1.196 billion, or $2.71 per diluted share. 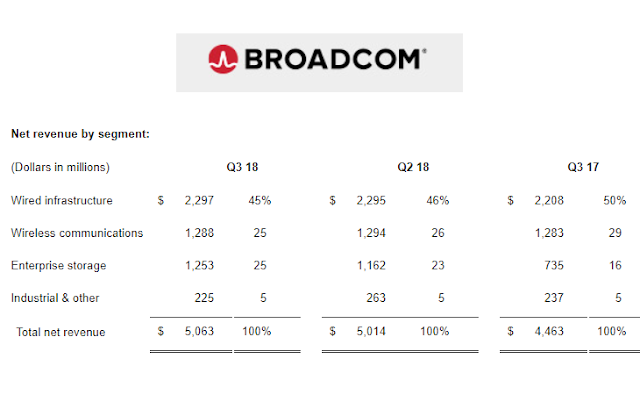 "Datacenter demand is driving strong growth in more than 50 percent of our consolidated revenue," said Hock Tan, President and CEO of Broadcom Inc. "Through the strength of our franchise business model, we delivered another quarter of sustained revenues and strong free cash flows." Broadcom stated that its pending merger with CA Technologies is on track for completion during the present quarter. 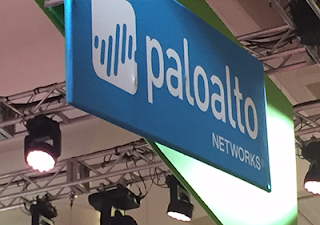 Palo Alto Networks posted total revenue of $658.1 million for itsfiscal fourth quarter 2018, up 29 percent year over year. This compares with total revenue of $509.1 million for the fiscal fourth quarter 2017. GAAP net loss for the fiscal fourth quarter 2018 was $2.3 million, or $0.02 per diluted share, compared with GAAP net loss of $38.2 million, or $0.42 per diluted share, for the fiscal fourth quarter 2017. Vantage Data Centers completed construction of its final data center at its Santa Clara, California campus, known as V5. The new four-story addition adds 15MW of critical IT load, bringing the campus total to 75MW. This campus is the largest in Silicon Valley. The addition also features a new cooling system that uses a combination of outside air and a chilled water loop, which uses recycled water and modular chiller and dry-cooler technology designed to minimize water usage while maintaining ultra-low PUEs. The water loop also utilizes non-potable grey water, further reducing impact on local water resources. The facility also supports both traditional and high-density data center designs. Vantage is also building a new 42-acre, 108MW campus in Ashburn, Virginia. The first 24MW building, which will provide 6MW of initial capacity on this completely new campus, is scheduled to be completed in early 2019. The new expansion contains several features designed to enhance sustainability while maintaining a low total cost of ownership. Ericsson, in partnership with Sony Mobile, Qoitech and Altair Semiconductor, is demonstrating a connected wearable prototype for diabetes monitoring that offers over five times longer battery lifetime. The improved power efficiency relative to the first-generation prototype, is due to two main factors: firstly, the integration of Altair’s ALT1250 dual-mode Cat-M1/NB-IoT ultra-small, ultra-low power chipset into the small form factor wearable device from Sony Mobile. Secondly, the use of LwM2M protocol further reduces average power consumption. LwM2M is a device management protocol designed for managing lightweight and low power devices. LwM2M builds on an efficient secure application layer standard called the Constrained Application Protocol (CoAP).